In between restoration work, TD Customs also offers collision repair services. Accidents happen, and most of us have been there at some point or another. We’re here to help get your vehicle repaired and get you back on the road as quickly as possible. Once we’re able to get all the parts in for your vehicle, our collision repairs will generally only take a few days. 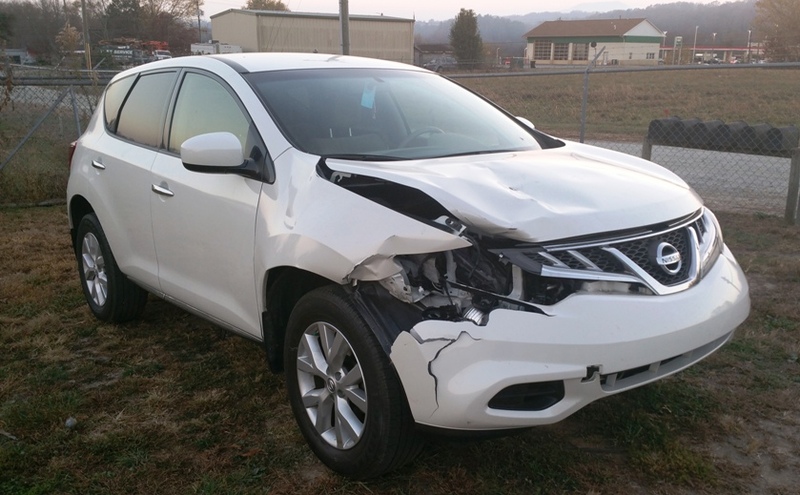 The damage to this 2013 Nissan Murano required all new parts, including a new hood, grille, bumper, front fender and headlight. For this collision repair job, there were a lot of internal components damaged as well as the body. So we replaced the parts that had been damaged, such as the windshield wiper fluid reservoir and coolant reservoir. We determine whether to replace parts or repair them based on the amount of damage that was done. Generally, we go with whichever option is the least expensive so we can keep our prices low for our auto repair customers. Once the collision repair has been completed, you won’t be able to tell that the car was even in an accident to begin with. We match the paint color perfectly, blending it in if needed. Sometimes blending is necessary due to sun fading or other reasons. Therefore, the the car will look just like it did before the fender bender, if not better. 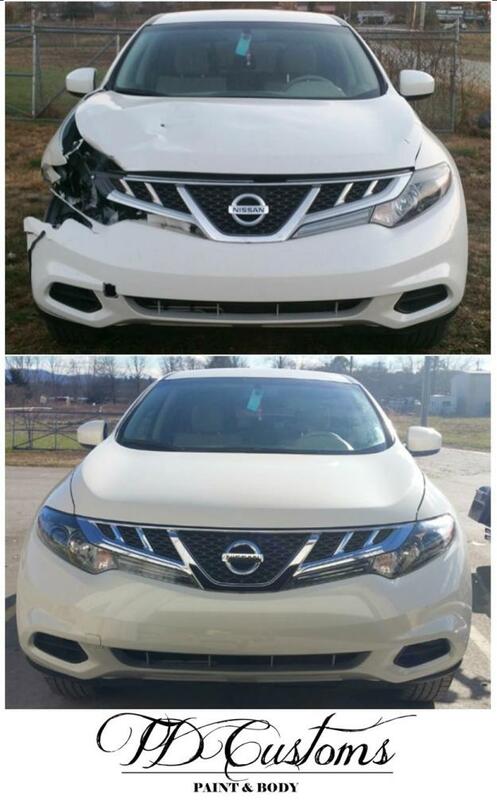 The picture below shows the Murano all repaired, looking brand new again. TD Customs accepts insurance claims on collision repairs. 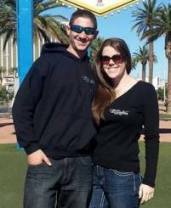 We’re happy to work with your insurance company to get the job taken care of quickly. 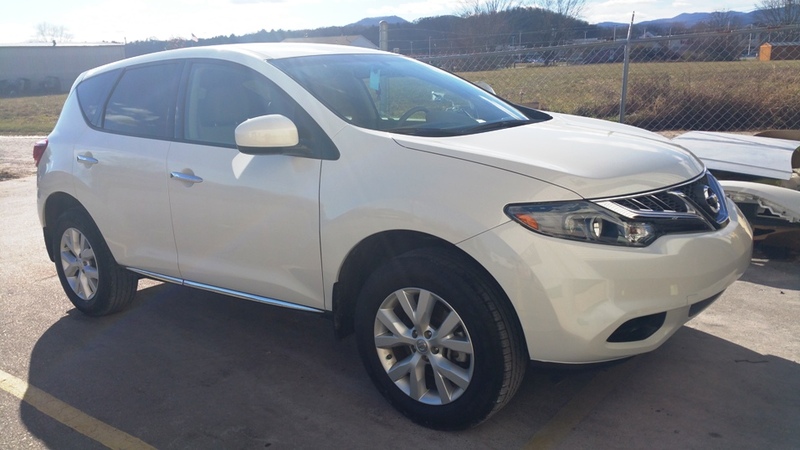 No one wants to wait weeks for their car to be repaired, so we try to get our Asheville collision repairs in and out as fast as we can. Contact TD Customs for all your collision repair work. Our prices are affordable, and we do high quality work. We will also work with your insurance company and your schedule to get you in and out as fast as we can. To browse through pictures of our previous work, see the Photo Gallery. No Replies to "Accident? What accident? FAST Collision Repair"